Solange, Rae Sremmurd and Lil Yachty are slated to perform at Broccoli City Festival this May. The festival that brings hip-hop, trap and soul music to D.C. while promoting sustainable, healthy living is headed back to town. Broccoli City has announced an all-star lineup for its fifth annual festival in D.C. this spring. Rae Sremmurd -- the duo behind "Black Beatles," which set off the viral mannequin challenge -- will hit the stage with singer Solange and rapper 21 Savage. AlunaGeorge, a London-based duo, will also perform, along with Atlanta rapper Lil Yachty. Kevin Abstract, Rapsody, Smino, Chaz French, Nick Grant, Rejjie Snow and Sir the Baptist are among the other artists set to perform. The Broccoli City Festival will be held May 6 at Gateway DC, an outdoor, state-of-the-art pavilion in the Congress Heights area. The venue houses a green space, complete with a vegetated roof, as well as a cafe and a 1-acre park. Events leading up to the concert include a 5K run April 29 and Broccoli City All Night, an art and music pop-up in D.C.'s Ivy City neighborhood on May 4. Presale tickets go on sale Wednesday at 10 a.m.; general sale begins Friday at 10 a.m. Broccoli City originated as an organic T-shirt company, but has since expanded to promote an eco-friendly lifestyle in urban communities. Co-founder Brandon McEachern was inspired to start the movement when he noticed that fast food restaurants were easier to find than grocery stores in South Central Los Angeles. In 2010, McEachern and his friend Marcus Allen began hosting block parties in L.A. They first brought the unique festival to D.C. on Earth Day in 2013 with the goal of promoting an environmentally sustainable lifestyle through music. 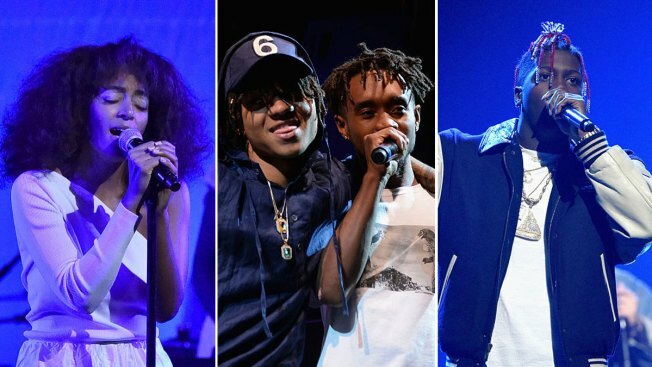 Past festivals have included the iconic Erykah Badu and Willow Smith, along with local D.C. artists such as Goldlink and Reesa Renee.